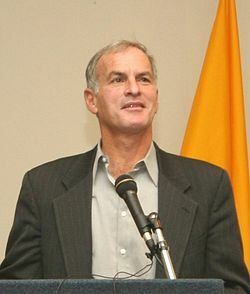 Finkelstein is a high-profile target of state-sponsored persecution for staunchly supporting Palestinian rights, along with stinging criticism of Zionism and Israel – touching the right nerves with scholarly accuracy. A personal note. I owe him a debt of gratitude. Posting my review of his book, titled “Beyond Chutzpah” on his web site launched my writing and media work, a pro bono career after retiring from small family business. In 2007, I wrote about his dismissal by Chicago’s Depaul University for daring to criticize Israel – the most sensitive third rail in politics, media and academia. Finkelstein was called “truly outstanding and among the most impressive” of all university political science professors by his students. His long struggle with the university ended on September 5, 2007, the first day of classes. Finkelstein was dismissed, put on administrative leave with full pay and benefits for the 2007-08 academic year. His teaching career in America ended, he’s one of numerous examples of the best, brightest and most honorable scholars banished from academia for truth-telling on vital issues – a disturbing indictment of rogue state control over major media and academic practices. He once said it’s “possible to unite exacting scholarly rigor with scathing moral outrage.” He knew the risks of confronting power with disturbing truths, yet took them courageously and still does, his soul not for sale. “1. I was arrested on 6 September 2017. 2. Two police detectives barged into my apartment at 11:30 p.m.
5. The detectives demanded that I sit on a rickety coffee table in my foyer that comes up to my kneecap. They wouldn’t let me sit on a chair. 6. I was handcuffed as I left my apartment building in order to humiliate me in front of my neighbors. 8. I was handcuffed to a pole for five hours in the police precinct while the detective filled out a single-paged form. 9. I was then thrown into an overcrowded jail cell and had to sleep on a stone floor. I asked for a blanket as I was freezing but the request was denied. 10. I was brought before a judge at 11:00 a.m.
11. I was served with an Order of Protection forbidding me to have any contact for one year with the two opposing lawyers, Michael Chetkof and Allyson Burger. 12. The police alleged that I was harassing Chetkof and Burger by constantly emailing them. 14. If Chetkof and Burger didn’t want to receive my emails, they merely had to inform me, and I most certainly would have ceased writing them. 15. They had me arrested in order to intimidate me into silence. 16. This is not the first time Chetkof and Burger tried to intimidate me. When I informed them that I was writing an article to expose their racist shakedown of Dr Rudolph Baldeo, Chetkof threatened to ‘open Pandora’s Box and destroy Dr Baldeo ‘Personally and Professionally’ unless I desisted. 17. Because of the Order of Protection, I can no longer accompany Dr Baldeo to Court. They want to isolate him in Court so they can terrorize him into submission. 19. I must appear in Court again on 10 October 2017.. It is possible that I will again be thrown into jail. 20. I am not afraid. My late parents survived five years in Hitler’s death camps. I will survive a Long Island jail cell. 21. I will not be browbeaten into abandoning Dr Baldeo in his Moment of Truth. Finkelstein was released on bail, his next court appearance on November 3. He remains in grave danger, already victimized by police brutality, facing up to two years imprisonment for supporting truth and justice, for showing extraordinary courage, integrity and honor, for exposing “tactics used to terrorize, demean, slander, bankrupt, and rob his friend,” according to a petition on his behalf – an attempt to judicially lynch them both. “He (Finklestein) had the audacity to expose to the whole wide world how two corrupt lawyers operate,” the petition stressed. Add your name to others, supporting Finkelstein’s struggle for justice, along with Dr. Baldeo. The ordeal they endured provides clear and compelling evidence of how a fascist police state operates – with cruel and merciless indifference to justice!